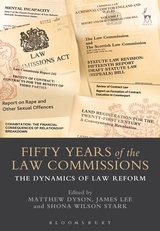 This book brings together past and present law commissioners, judges, practitioners, academics and law reformers to analyse the past, present and future of the Law Commissions in the United Kingdom and beyond. 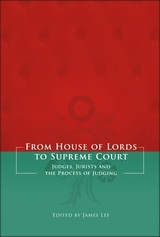 Its internationally recognised authors bring a wealth of experience and insight into how and why law reform does and should take place, covering statutory and non-statutory reform from national and international perspectives. The chapters of the book developed from papers given at a conference to mark the fiftieth anniversary of the Law Commissions Act 1965. 10. The Duty to Make the Law More Accessible? 24. 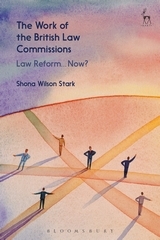 The Law Commission Method: Exportable to the EU? 39. Making Law-Who, How and What? 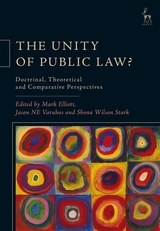 Matthew Dyson is an Associate Professor at the Faculty of Law, University of Oxford and Tutorial Fellow of Corpus Christi College, Oxford as well as an Associate Member of 6KBW College Hill.